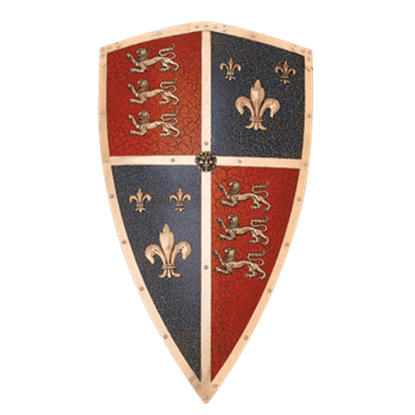 Based in Toledo, Spain, Armaduras Medievales produces some of the finest display shields, historical sword replicas, and medieval decor around. Their replica swords and shields reproduce many historical and fantasy designs from popular figures like El Cid, Charlemagne, William Wallace, and others. 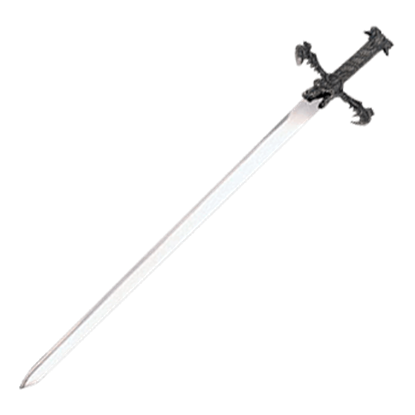 In addition, they also craft highly detailed medieval knight replicas, sword letter openers, decorative armour, and sword wall plaques that help to turn your home or office into a medieval landscape. We are pleased to make the many fine Armaduras Medievales curios just a click away from becoming yours. 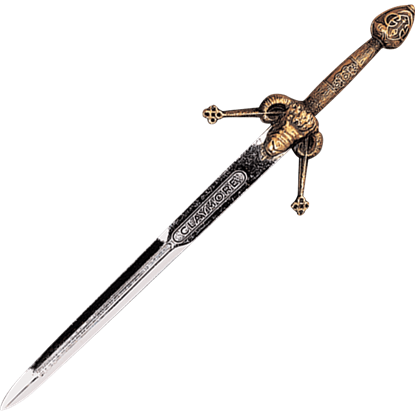 The Barbarian sword has a stainless steel blade with a highly decorative all metal hilt, making it a great choice for an ornamental weapon. 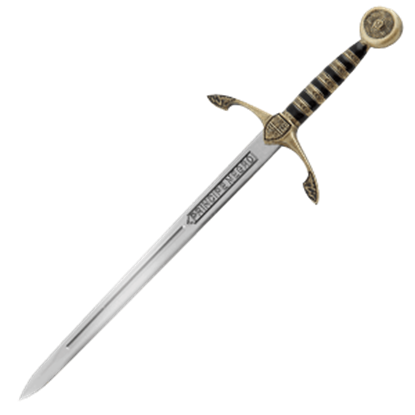 The Barbarian swords is an attractively priced for the medieval sword collector. 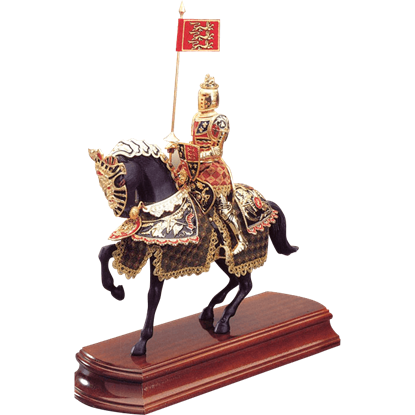 The miniature mounted Black Knight, representing figures from history in tournament armour, is beautifully crafted and decorated in the heraldic symbols of the royal houses of the knights country. 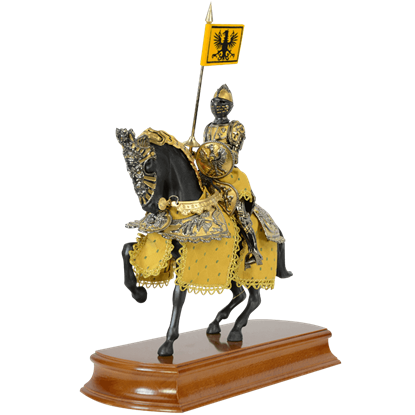 This miniature mounted knight, appearing in tournament armour, is beautifully crafted and decorated in the heraldic symbols of the royal houses of the knights country. Each piece stands on a polished wooden base. Edward of Woodstock, known as the Black Prince, was the eldest son of King Edward III of England, and father to King Richard II of England. Crafted in Toledo, Spain, the shield is made in burnished steel with bronzed embossing. 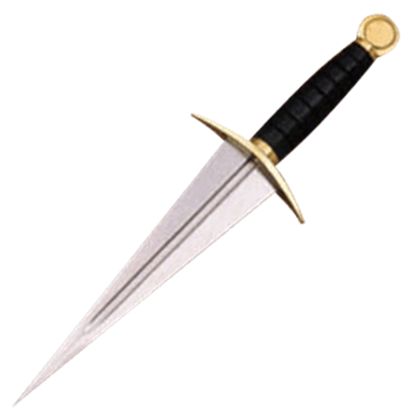 The wickedly pointed Brass Talon Combat Dagger is an ideal weapon accessory piece to a medieval costume. The talon dagger includes brass fittings with stainless steel blade. 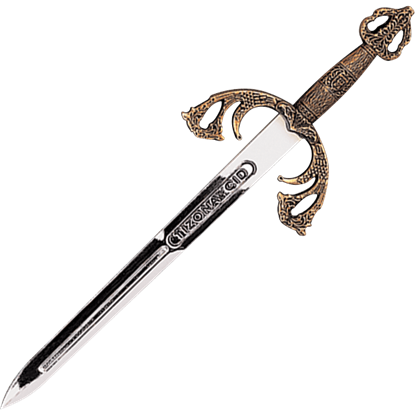 This letter opener is modeled after a long sword fit for a prince! 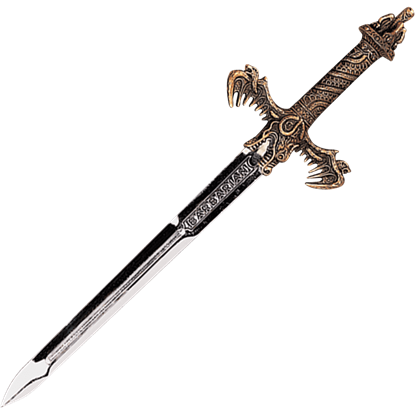 The Bronze Black Prince Sword Letter Opener has a decorated look that will accent any setting, as well as a useful blade to help you open all your letters. 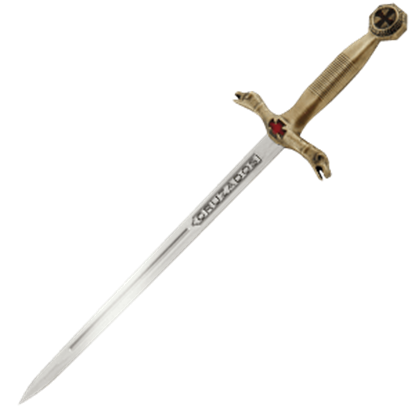 The Claymore Mini Sword Letter Openers is a popular Toledo made letter opener made in two finishes, bronze and pewter. Each claymore miniature letter opener is carded with its story told in English and Spanish in the card. With the flair of a fencer, this Bronze Conquistador Sword Letter Opener lets you deal with any correspondences that you might receive! Inspired by the swords of the Spanish warrior, this desk weapon is both ornate and effective. 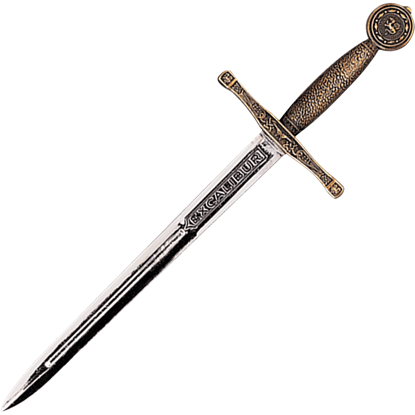 A warrior far from home is sure to receive mail from his loved ones, and for the Crusader who needs help with his letters, this Bronze Crusaders Sword Letter Opener is just the tool needed. The miniature sword handles mail with ease. These very popular Toledo made Mini Sword Letter Openers are made in two styles in bronze and pewter hilt finishes. 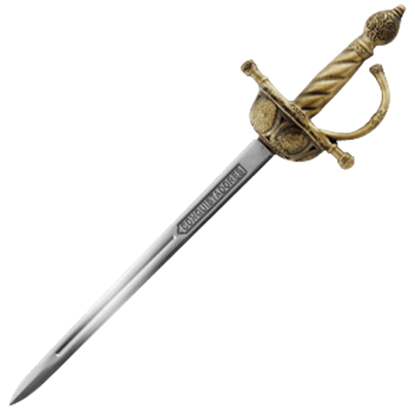 Each El Cid miniature letter opener is attractively carded with its story told in English and Spanish in the card. These very popular Toledo made Mini Sword Letter Openers are made in six styles in bronze and pewter hilt finishes. Each miniature letter opener is attractively carded with its story told in English and Spanish in the card.